Audi has recently teased an upcoming crossover, which could be either Q1 or Q2 from its appearance. Since, Q1 has been spotted numerous times during testing in camouflage, chances are high that it's Q1. The model is also scheduled to be a part of Geneva Motor Show that will be held in the first week of March, 2016. However, some other reports suggest that the Q2 will be delivered in Europe by the end of this year. Hence, any of these models could be seen at the event. 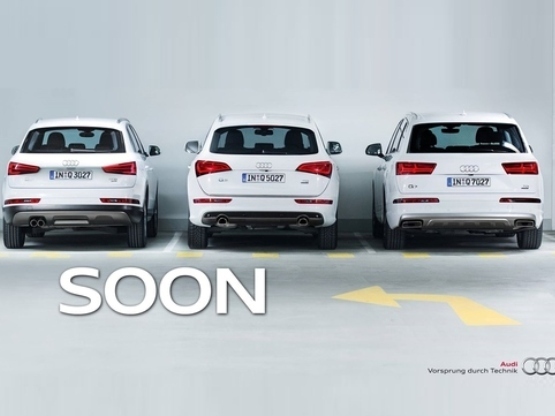 As of now, Q3, Q5 and Q7 are available in the lineup. Talking about the design and other features, the car is likely to don the skin of Volkswagen Tiguan. Moreover, it will be built on the MQB platform utilised by the VW group, while the dimensions will be identical to the Q3 model. Mechanically, it could be packed with a three-cylinder diesel motor or a 2 litre twin-turbo TDI unit, that are found in other Audi products. Further, the high performance version of the Q1 may be equipped with a range topping motor that generates 310Bhp of maximum power. In the European markets, this car is going to be the most affordable crossover for the prospective buyers. As far as India is concerned, it could be brought in the country for sale, but at a later date. If launched in India, the Q1 could be positioned below A3, which is currently the most affordable Audi here.